We love writing about women and girls who are breaking barriers, especially in sports. So when we first learned about Kaylee Gaines, a high school student and wrestler from Mt. Vernon, Washington, we knew we had to share her story with our readers. She never intended to become a serious wrestler in the first place, but since she started competing, she has made history by becoming the first-ever women’s Triple Crown wrestling champion in her weight class. 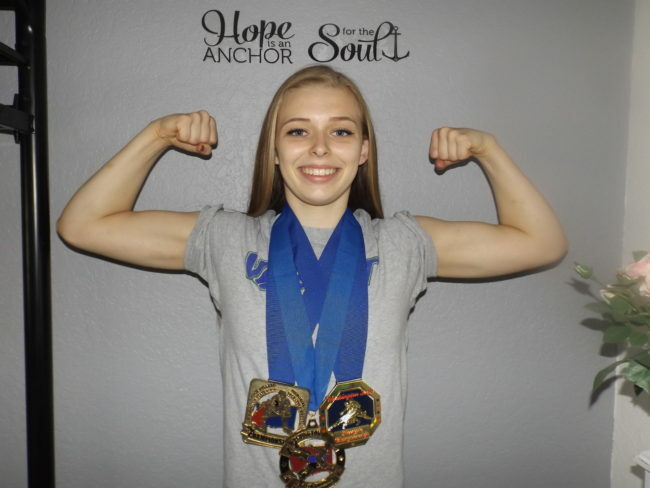 The 17 year-old is a Triple Crown champion, having won the folkstyle, freestyle and Greco titles for her 117-pound weight class in 2017, the first year that women were able to compete in all three styles of wrestling. 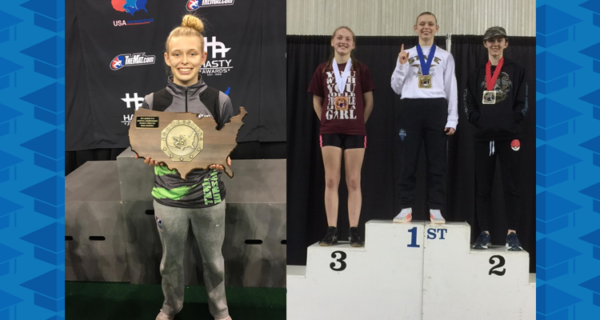 Kaylee currently wrestles for her local high school team, Mount Vernon High School, as well as for her club team, VANDIT, year round. In addition, she is a National Team member for Washington State, which just won the national championship in Fargo, North Dakota, unseating seven-time national champion California. As she enters her final year of high school, Kaylee has set some lofty goals for herself. 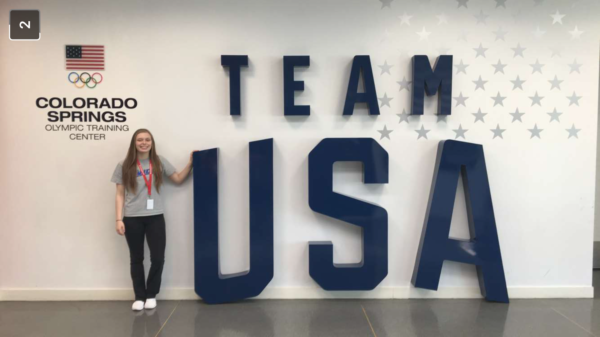 She hopes to become an individual state and national champion, an All-American and a world team member, and eventually represent Team USA. After high school, she has her sights set on studying at a university in Washington that currently has a women’s wrestling team. There is no stopping this young woman who is already making her mark within the sport. We had a chance to speak with her about her wrestling career so far, how she manages to balance school work, and why she believes more girls should get involved in sports. When did you first become interested in wrestling? I first started wrestling in 7th grade. I thought it would be funny to join the team, but I fell in love with the sport right away. Who are your role models in the sport, and are there many women you can look up to? My role models in the sport would be my friends Emma Bruntil and Leah Olsen because when I started wrestling these were my partners who helped me at practice when I was learning. There are plenty of women to look up to, however. One person I have grown to like a lot is Ali Ragan. When I went to the OTC (Olympic Training Center) she was one athlete there that helped me a lot with my moves and spent some down time with me there as well. You are enrolled in an online school which gives you greater flexibility to compete and train. What other benefits would you say there are to this type of education? Some other benefits would be the one-on-one time you get with your teacher if you need extra help, unlike in a traditional brick-and-mortar high school where you learn as a class and there’s not a lot of one-on-one in those classes. Another thing people get wrong about online school is that we don’t have classmates or we don’t have friends. This is not the case at all. I have plenty of classmates and still learn a lot through my school. We also get to do field trips and outings to meet your classmates and teachers face-to-face. What did it feel like winning your first title and championship? Winning my first title was a real eye opener for me because sometimes in this sport it’s hard to tell when you improve and when you’re going to win. You always have a lot of new tough competitors that you meet in this country. Once I got first place at folk style state I knew it was uphill from there. My coach, Jerome Olsen, likes to tell me and my little sister “To the Top we rise!” That is exactly what I did. I went out and won all 3 styles of state and became a triple crown champion. This is when I realized I was improving a lot more than I thought. This year I experienced so many wins, like my team winning duals at Fargo and beating California to take first place which had not happened in 7 years. Let me tell you, it feels good to be on top! You started out wrestling other boys. Why was this? When I started wrestling in 7th grade I realized most of the time I was the only girl. There were a few here and there but I never wrestled them – there weren’t really any in my weight class. You don’t start wrestling all girls until high school. The sport was still pretty new for women, but wrestling boys does not mean you won’t win at all. Today, a lot of females, myself included, ask to wrestle boys just so we can show we belong in this sport just as much as they do and we are all about equality and up for a challenge. You are still in high school yet are already a trailblazer with your Triple Crown. What else do you hope to achieve in the sport in the future? In the future I hope to become a Fargo Champion. This is one thing I want to do because at Fargo you have some of the best people and I want to show everyone how far I’ve come and how confident I am in myself. I would also like to make it onto the world team this year which means I have to win Body Bar, which is world team trials for women my age. Other than that, I want to win anything and everything else in the wrestling world. Can you tell us about your college plans? I would like to attend Grays Harbor College with head coach Andy Cook. I believe this is a school where I would be happy because I have friends there already and the education is good as well. The wrestling team at Grays Harbor is making their name known as well, and I would like to be a part of that. Andy Cook has been my coach and I am comfortable with him and know everything he teaches will be the best moves for me to accomplish my goals that I have set for myself. How would you encourage other young women to get into wrestling, or any other type of sport? Most younger women think wrestling is weird but cool, so usually when I am telling people about the sport I don’t force anything down their throats. I tell them they can come to a practice or two with me and work with me and I can teach them some stuff. And if they don’t like it, no problem, at least they tried it and can find what they really want to do. I also tell them it is not just a sport, it is setting you up to succeed at everything you do in life. It is a lifestyle. It teaches you discipline and courage and to always believe in yourself. It shows you not to quit and to always push for what you believe in and what is right. What are some of the best things you have learned from competing in a sport like this? Some of the best things I have learned are life skills. Once you’ve started the sport you get sucked in you won’t want to leave. It shows you why it’s important to keep goals and push for what you believe in. It also creates bonds with other people you would never think you would meet. Wrestling is really a lifestyle, not just a sport. It shows you that you can push yourself to extreme limits you never thought possible! I believe it is an eye opener to your own personal life and shows you who you really are.